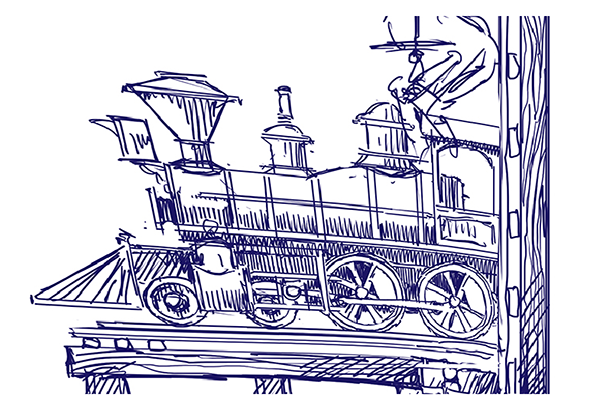 I started by clipping the train section from the sketch I posted last time. I saved this as a JGP file and imported this into EnRoute. I then sized it up to how it would be in the final piece. 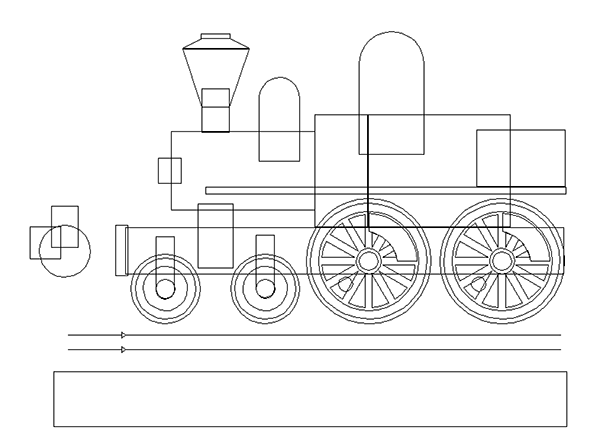 This drawing was then used as a reference to get the sizes right on the routing files. I then recreated the various parts in scale, inside EnRoute. One of each size wheel was created and then duplicated to make things fast. 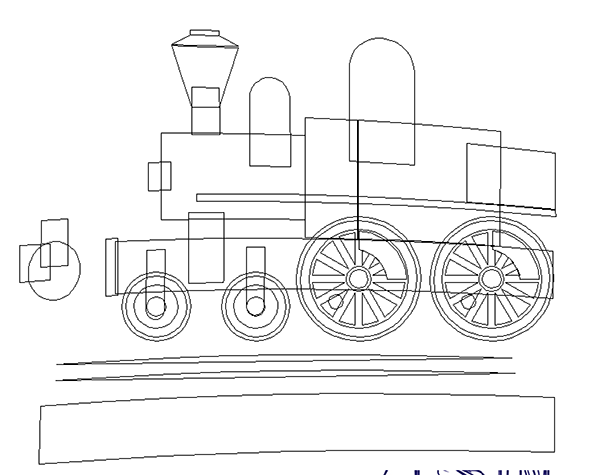 The train will be busting out of the sign face and so needed to have that feel of movement. To do this I used the distort/warp function to do all of the pieces at once, and keeping them in proportion.